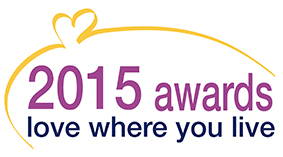 Love Where You Live Award winners revealed! 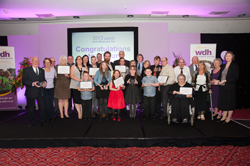 Heroes from across the Wakefield district have been honoured at the Grand Final of WDH’s Love Where You Live Awards 2014. 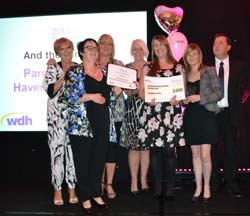 The Love Where You Live Awards recognise individuals and groups who have made a positive difference in local communities. More than 7,300 votes were received for the nominees, with the winners announced at Wakefield's Cedar Court Hotel. Featherstone and District War Memorial Garden - Best Neighbourhood. Zara McGuinness – Featherstone - Young Achiever. Juanita Allen, Ossett - Good Neighbour. Friends of Fryston Woods, Airedale - Working with Young People and Green Hero. Havercroft Children’s Centre - Community Group. Hazel Richardson, Knottingley - Working with Older People. Derek Westerman, Leatham Crescent, Featherstone - Best Garden. WDH Chief Executive Kevin Dodd said: “A great deal of hard work has been going on across the district to make our communities better places to live, and local people are at the heart of this. 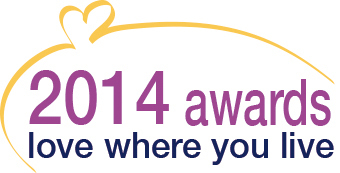 “The Love Where You Live Awards become more successful every year, and we are hoping for even greater things in 2015." 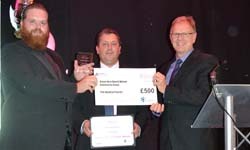 The awards were sponsored by Wolseley Integrated Sevices, and a charity raffle raised £300 which will be shared between the Prince of Wales Hospice and Wakefield Hospice.